Pin curls are so fun! I love setting my hair in pin curls at night, grabbing a silk scarf, going to bed, and waking up with perfect bouncy curls! 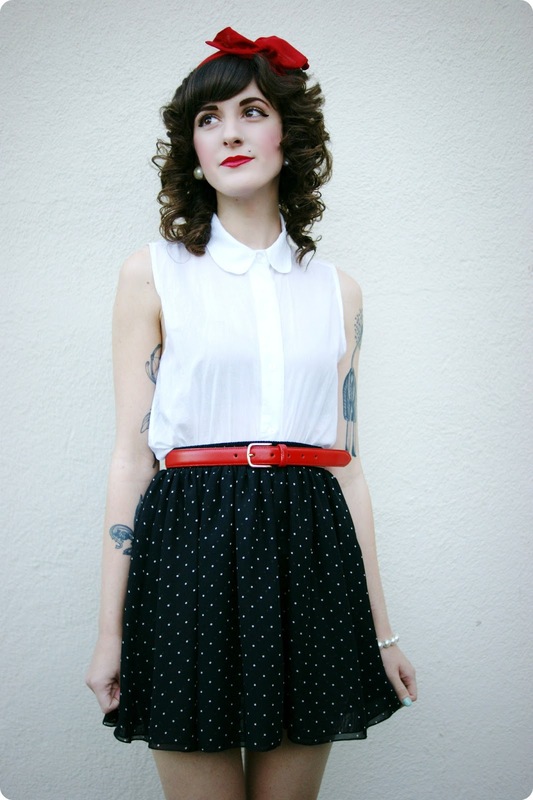 What better way to style a head full of pin curls than with a super classic palette of black & white, polka dots of course, and a pop of red!